Wanna know more? Then you should watch this talk by Colin Charles from 2018! It has been there for a decade. In this time it has grown up from a buzzword to a key-subject discussed in many companies. You know, what I mean! It’s more than a group therapy for frustrated IT engineers with new fancy tools, says Arnold Bechtoldt, Senior Systems Engineer at inovex. 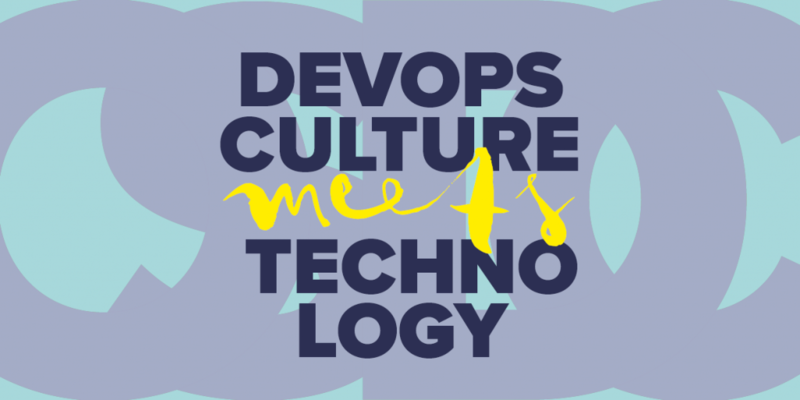 What are the technical symptoms of the DevOps method? Which problems aren’t actually technical? How to approach these issues? Arnold’s talk at OSDC will guide you through the jungle! 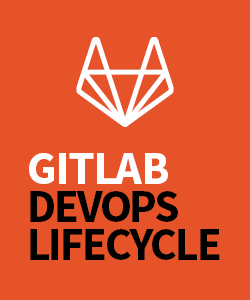 Are containers the DevOps killer? Or is there still any hope left for this culture in a containerized world? Martin Alfke is CEO at example42 GmbH, located in Berlin. He is a long-term Puppet specialist and trainer. At OSDC Martin will let you know what kind of security borders we have at hand to work separately but with trust. Prepared thus, we will finally empower you to go the five steps to transformational change. At OSDC you’ll learn the essential methods that Dan Barker used in real transformations at multiple companies! Dan is Chief Architect at RSA Security for cloud migration and an organizer of DevOps KC. OSDC focuses on innovative strategies, trendsetting developments and new perspectives in dealing with large data centers. The event takes place in Berlin, May 14 – 15, 2019. „Mgmt Config: Autonomous, real-time systems“ with James Shubin on the pre-conference day, May 13, 2019. Get your conference ticket and workshop add-on ticket at osdc.de. Want to know how a project runs in a highly available fashion on Kubernetes? You like demos in presentations? About failures and availability? You are interested in platforms as a service? Three times “yes”: Welcome to this talk by Cornelius Schumacher from 2018! 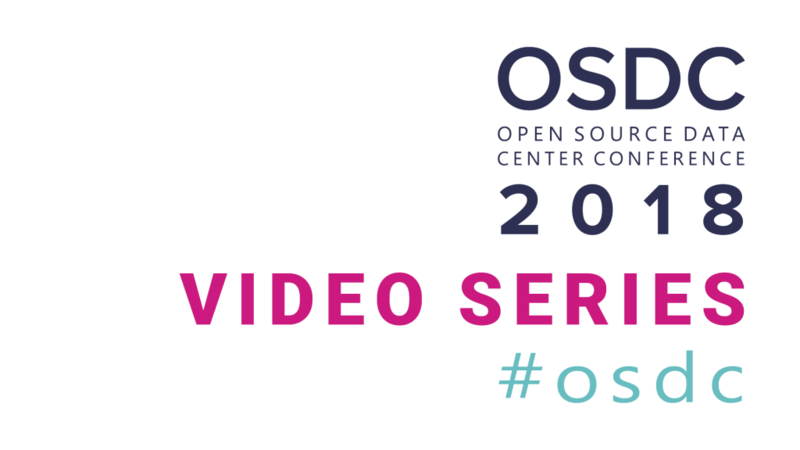 OSMC 2019: Get on stage! The Open Source Monitoring Conference is the annual meeting of international monitoring experts, where future trends and objectives are set. Be one of the trendsetters! 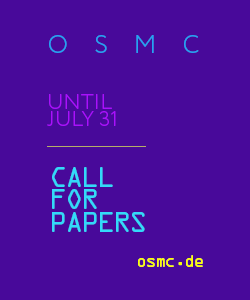 Register now as a speaker for OSMC and share your knowledge with the community. Talks can be submitted until July 30, 2019. Submit now! 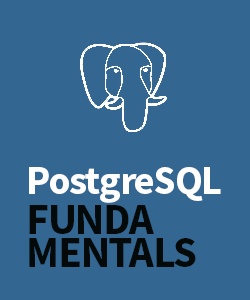 We are looking for insights into new topics or Open Source projects, technical backgrounds, latest developments, new features and techniques, how-tos, case studies, best practices as well as future trends and perspectives. Speakers can choose between three formats: The long lecture (45 minutes), the short lecture (35 minutes) and the Ignite talk (5 minutes). The conference will be held in English and German. Presentations in English are particularly welcome. OSMC takes place in Nuremberg, Nov 04 – Nov 07, 2019. Until June 30, 2019 you have the chance to grab one of our Early Bird Tickets. 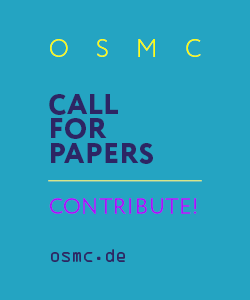 Be one of 250+ Open Source Lovers at OSMC! For further information visit osmc.de. to Google cloud, challenges, tooling (and lack thereof). Listen to Devdas Bhagat‘s story about Migrating to the cloud. 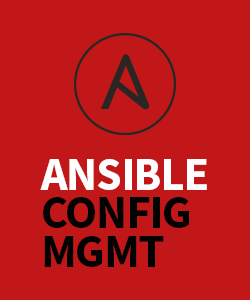 OSCAMP on Ansible: Agenda out now! 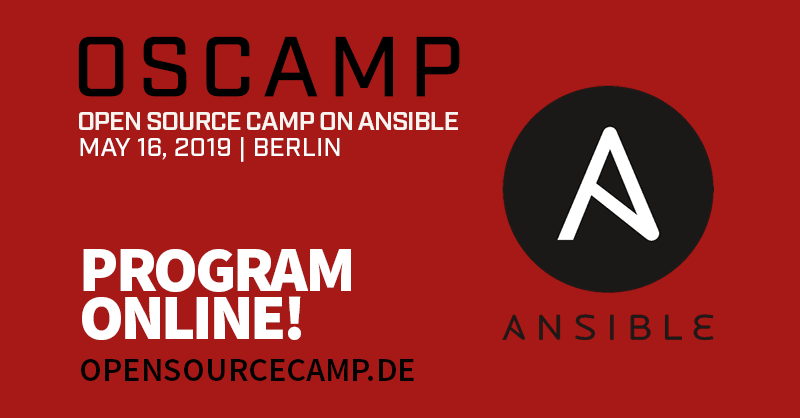 This time Open Source Camp will deal with the automation tool Ansible. We are very happy to announce the third edition’s agenda! 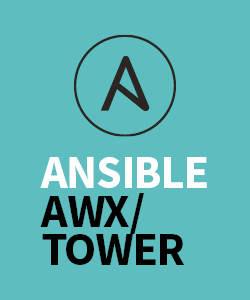 Their topics: Reusing Ansible Roles as Kubernetes Operators, the free Ansible Tower AWX in practice and Icinga configuration with Ansible. Get to know how to automate your things and learn best practices, tips and tricks from the experts! Check out the whole PROGRAM and don’t forget to get your TICKET! 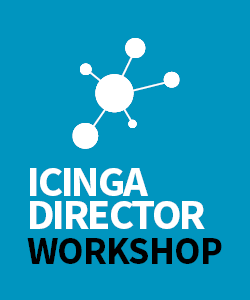 Want to get tools, methodologies, and experiences that will help you monitor your distributed system? Want to learn how to switch from a more traditional monitoring approach to observability? How to design a SLO for your core services? If these questions sound interesting to you, then you should watch this talk by Gianluca Arbezzano from 2018! Es begann, wie so oft bei großen Dingen, in kleiner Runde. DevOpsDays 2015 in Ghent: Man sitzt zusammen, unterhält sich, lässt den Gedanken freien Lauf und plötzlich beginnen sie sich zu formen. In diesem Fall nehmen sie die Form einer Plattform an. Die NWS-Idee ist in den Köpfen! März 2017: Es ist so weit: NWS geht live! 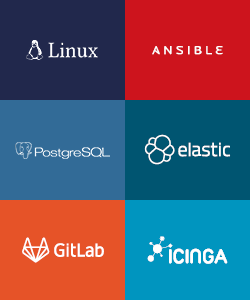 Zum Icinga 2 Satellite und Icinga 2 Master, zu Nextcloud und Rocket.Chat gesellen sich bald GitLab, RequestTracker, SuiteCRM, der Web Accelerator und 2018 zieht mit Pauken und Trompeten die Open Infrastructure Queen-OpenStack nach. 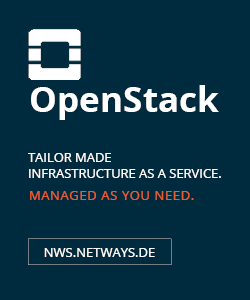 Heute sitzen im NWS Team die Experten für alles: Programmieren, Betrieb, Rechenzentrum, Web Hosting, Storage Cluster, Cloud, DevOps, Hype. Sie bauen neue Setups und sind Support. Mehr noch: MyEngineers! Sie kümmern sich um Laufendes und künftige Software as a Service Angebote. 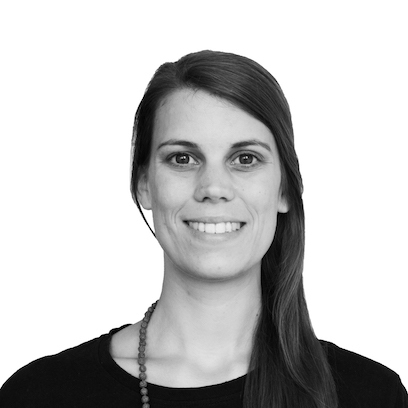 Sie maßschneidern Open Infrastructures auf Basis von OpenStack. Das heißt vor allem: NWS Kunden können sich voll auf ihr Business konzentrieren, ohne sich den Kopf über IT Dinge zu zerbrechen. Und haben immer einen Ansprechpartner, der sich auskennt. Wer’s nicht glaub kann sich selbst überzeugen: Die ersten 30 Tage NWS SaaS sind kostenfrei – kein Haken an der Sache. Isso. Ein Hoch auf zwei Jahre NWS! 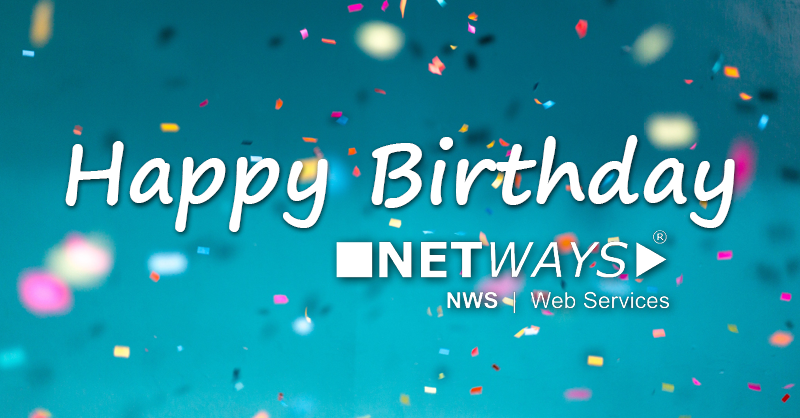 Alles Gute und weiter so!